Moderate Muslims in India need a medieval role model. That role model is the great Mughal emperor. History and national pride are very complex subjects. If allowed to be interpreted by people who are not aware of the inherent idea of nationhood, these can do a lot of damage to the nation itself. This danger has again come to the surface as a group of ultra-nationalists is trying to get a road in Delhi that is named after Mughal emperor Akbar, to be named after Rana Pratap instead.Now this group has got the support of no less than Union minister of state for external affairs VK Singh, himself a Rajput. Pitting the one and only Rana Pratap against Akbar would be an irony for the nation if one goes by unbiased history and a true idea of nationhood. It reveals a very poor sense of history as is the case with a large section of our society. In fact, it is rare that two adversaries who fought each other have both found a place in the hall of fame of Indian history. Rana Pratap and Akbar fall in this rare category. When it comes to patriotism, Rana Pratap is its biggest symbol given the two-decade-long struggle he waged against the Mughal emperor to uphold the freedom of Mewar and while doing so lived like a commoner in the jungles eating from iron plates instead of ones made of gold and sleeping on straw beds in place of the silver cots. Historians like James Tod and Ishwari Prasad have paid the ultimate tribute to Rana Pratap’s patriotism in words which were truly moving: "The many Rajput and Mughal generals who came to subdue the Rana are mere phantoms across the pages of history but the Rana lives a charmed life. Even after 400 years his name is beacon of light for people who believe in fighting for righteous but forlorn causes." This description of the Rana has brought tears to eyes of many, including mine. But many of these historians who have held Rana Pratap in high esteem have also appreciated the contribution of Akbar in forging a syncretic culture in India by giving the Hindus their rightful place after more than 300 years of atrocities being committed on them by the earlier Muslim rulers. There is not a single ruler during the 300-year-long Sultanat period in India who can be called secular - Iltutmish, Alauddin Khalji, Mohammad bin Tughlaq, Firoze Shah Tughlaq and Ibrahim Lodhi. Each one of them practised untold atrocities on the common Hindu population, if one goes by a book by noted historian VD Mahajan titled The Delhi Sultanat. Historian RC Mazumdar too has recorded chilling accounts of these atrocities in great detail. Ultra-nationalists quote Akbar’s 1568 sacking of Chittor and the accompanying jauhar by brave Rajput women as a proof of his jihadi leanings. But the fact is that his real transformation as an emperor of a multi-religious society began in 1571 when he came in contact with Jain and Vaishnava munis including Muni Hirvijayji of Gujarat and debated the essence of spiritualism and religion with them. The result was that he withdrew the obnoxious tax against the Hindus called jizya, put a complete stop to the destruction of temples by Muslims and even banned cow slaughter on prescribed days during the year. He formed a council of advisors comprising Hindus and Muslims called the Navratnas and took their advice in mooting welfare measures for the people. 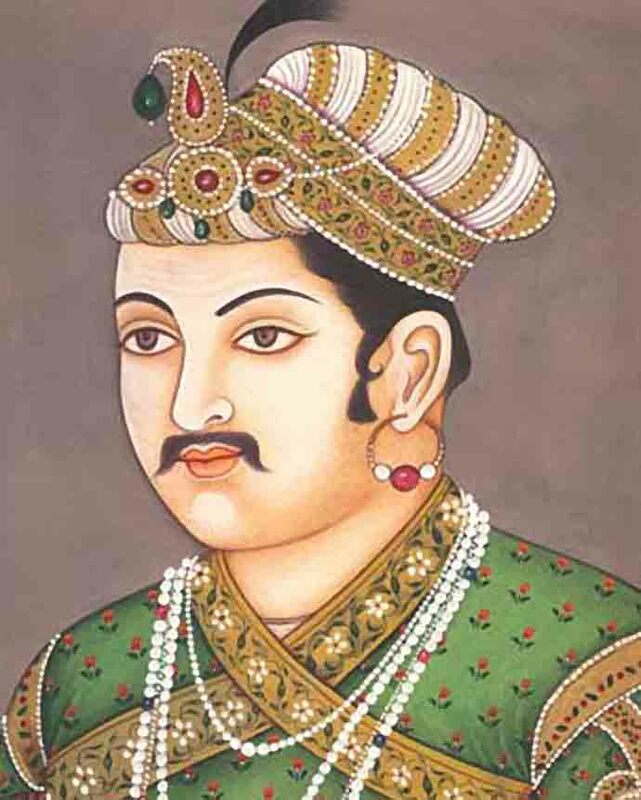 The landmark revenue tax reforms during Akbar’s reign were carried out by Todar Mal, one of the Hindu Navratnas of Akbar. In fact, radical Islamists condemn Akbar for his kindness towards Hindus. Akbar had taken strong measures against a radical Islamic preacher, Sheikh Ahmed Sirhindi, when he opposed the Mughal emperor's measures to forge Hindu-Muslim unity. In 1597, after Rana Pratap died at Chawand near Udaipur of injury after being attacked by a tiger in a hunt, it is believed Akbar extolled Rana Pratap’s bravery and sense of freedom in open court when he got the news. He said Rana’s case was worthy of example. Appreciating your rival demonstrates a sterling quality. Then, thanks to the respect shown by Akbar to Rana Pratap when the Rana’s son Rana Amar Singh accepted Mughal suzerainty on certain conditions during the rule of Akbar’s son Jehangar, Amar Singh’s son, Karan Singh was treated with utmost respect, warmth and honour when he went to negotiate the treaty. Jehangir himself has described this event in his memoirs. Significantly, much of the anti-Akbar tirade is driven by the fact that Leftist historians have projected Akbar as a hero and used his name allegedly as a platform to tamper with important parts of Indian history. A statue of the great Rana Pratap can be raised on the Raisina Road. But erasing Akbar’s name would be an irony. Significantly, despite the division of Hindus and Muslims along religious lines there has been a spirit of coexistence in the country. Akbar is the first author of this spirit of coexistence. More importantly, there have been a sizable number of Muslim heroes who have fought for the unity of India against Muslim forces starting for the brave general Ibrahim Khan Gardi of the Maratha army, Ibrahim Khan Gardi, who was captured alive in the third battle of Panipat in 1961 and cruelly killed by Afghan invader Ahmedshah Abdalli for fighting on the side of "Kafir Marathas" against a Muslim army. In the 1948 Kashmir action Brigadier Usman gave up his life against Pakistan and so did Havaldar Hamid in the 1965 Indo-Pak war. Even in the Kargil action a significant number of Muslims were killed or injured. The sacrifice of the revolutionary Ashfaqullah Khan is well known. Moderate Muslims in India, whose numbers are sizable, need a medieval role model. That role model is Akbar.